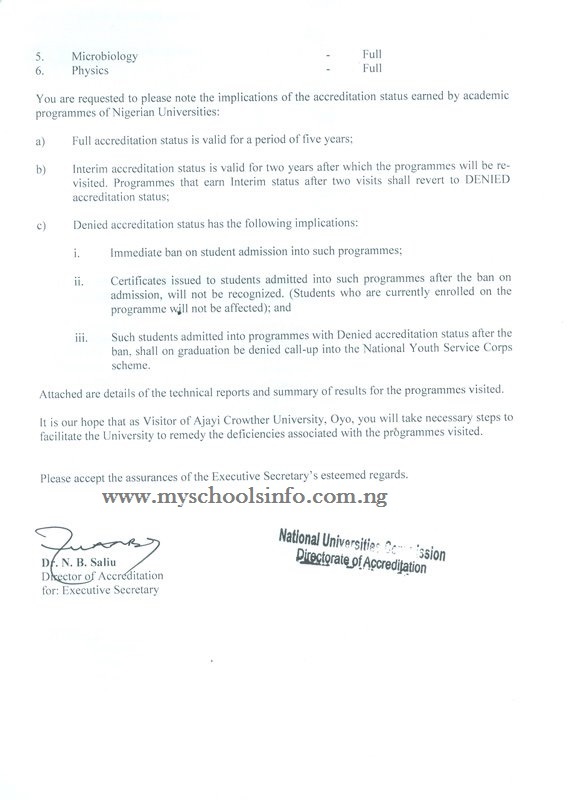 The result of the NUC re-accreditation exercise on academic programmes in Ajayi Crowther University in November/December 2017 has just been released. To the glory of God, all ACU programmes were granted full accreditation for the next five (5) years. Earlier, the NUC has approved M.Sc. Accounting and the MBA programmes which are already running. The University is processing NUC approval to commence Mechanical Engineering, Electrical/Electronic Engineering, Computer Engineering, Architecture, Estate Management and Library & Information Science to commence next session (September 2018). The University Management thanks the NUC, the Pro-Chancellor and members of the Governing Council and all members of staff (Academic & Non-academic) as well as our lovely, godly and intelligent students for their various contributions during the process of the accreditation exercise. 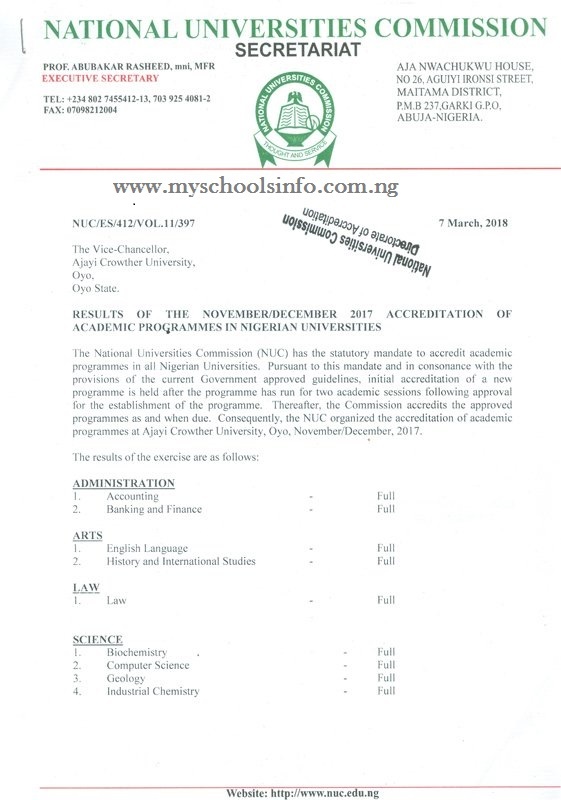 Other study programmes such as Mass communication and Economics already enjoy NUC accreditation and their time for re-accreditation is not yet due.